Very welcoming, helpful & informative. Clean, modern & spacious apartment. Äusserst freundlicher Empfang eines jungen, sehr hilfsbereiten Schweizers. Schönes, modern eingerichtetes Apartment. Номер большой и светлый. Прекрасная терраса, было видно даже море (приятный бонус). Не очень большой, но чистый бассейн (за чистотой в бассейне и вокруг следят всегда). Пляжные полотенца большие и мягкие, всегда в наличии. Проживающих было мало и от этого ощущение, что бассейн частный, плавали всегда одни. Очень красивая и ухоженная территория. Der Empfang war äußerst zuvorkommend, das Apartment sehr geräumig und sehr schön möbliert.Selbst an den Einbauschrank war gedacht und das Bad war einfach klasse. Man kann sich dort rundum wohlfühlen. La tranquilidad de la finca. Ideal para desconectar. La cama muy cómoda, suite muy confortable, bañera espectacular. 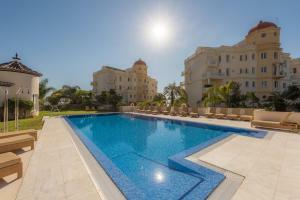 Lock in a great price for Las Dunas Suites & Apartments – rated 8.3 by recent guests! One of our top picks in Estepona.Set on the beachfront in Estepona, Las Dunas Suites & Apartments features a swimming pool and a fitness center. It offers air-conditioned apartments and suites with a private balcony and garden views. All accommodations has modern décor and parquet floors, as well as a private bathroom with a shower and hairdryer. There is also a flat-screen TV with satellite channels. The Las Dunas Suites & Apartments restaurant serves a variety of international and regional dishes, and the property also offers room service. The on-site spa includes a sauna, hammam, and massage services. In addition to the main pool, there is a second one for children. Free WiFi is available in public areas. Activities such as hiking and snorkeling can be done in the surroundings. 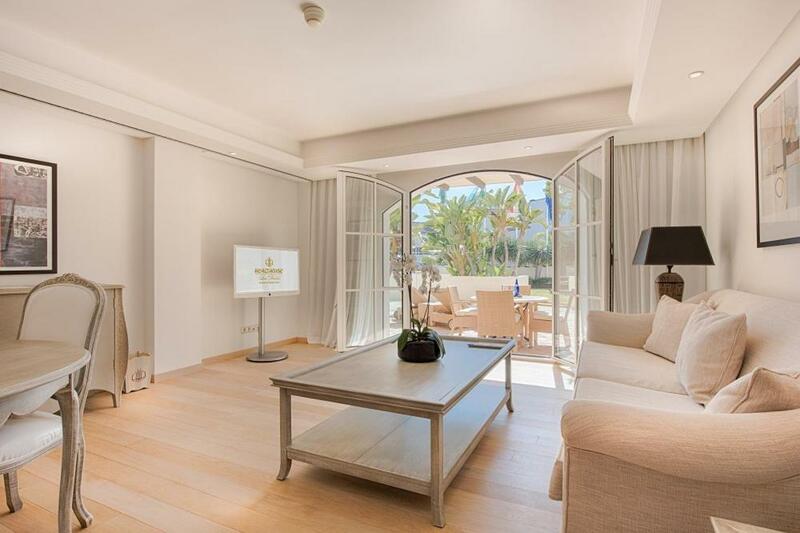 El Coto Golf Club is 1.2 mi from Las Dunas Suites & Apartments, and Puerto Banus is a 10-minute drive away. 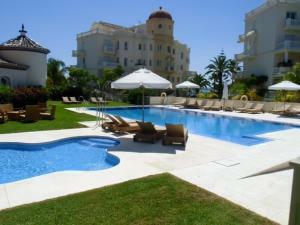 Marbella is 12 mi from the property, and Malaga Airport is 45 minutes away by car. When would you like to stay at Las Dunas Suites & Apartments? This suite features a private balcony with views of the garden. It has modern décor and parquet floors, as well as a private bathroom with a shower and hairdryer. A flat-screen TV with satellite channels is also available. This suite features a private balcony with views of the garden. It has modern décor and parquet floors, as well as a private bathroom with a shower and hairdryer. A sofa and a flat-screen TV with satellite channels are also available. This air-conditioned apartment features a private balcony with views of the garden. The private bathroom comes with a shower and hairdryer, and the living area includes a sofa and a flat-screen TV with satellite channels. In the kitchen you will find a hob, microwave, electric kettle and kitchenware. 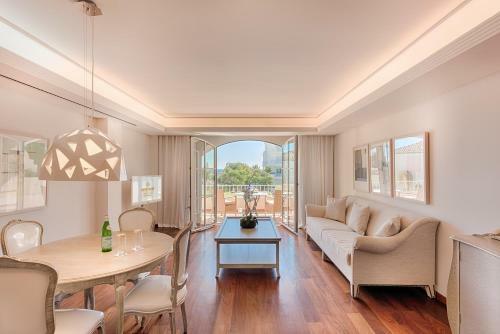 This air-conditioned apartment features a private balcony with views of the garden. The private bathroom comes with a shower and hairdryer, and the living area includes a sofa and a flat-screen TV with satellite channels. 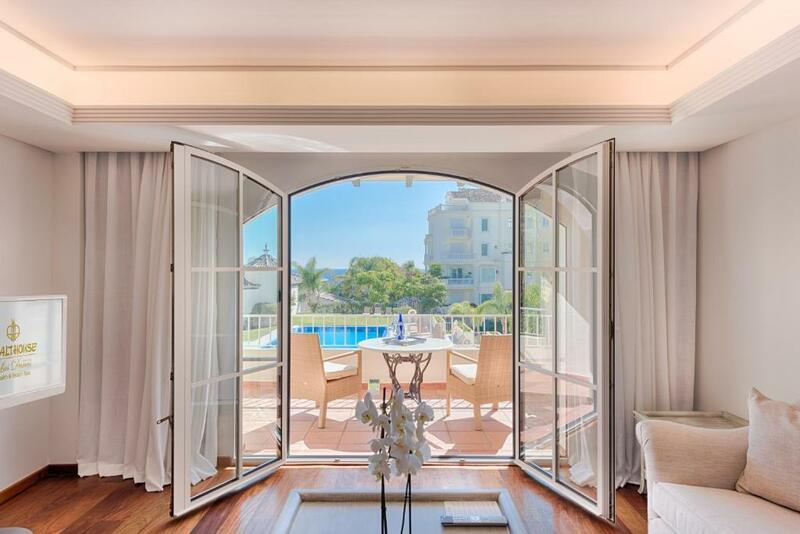 This air-conditioned apartment features a private balcony with views of the sea. The private bathroom comes with a shower and hairdryer, and the living area includes a sofa and a flat-screen TV with satellite channels. In the kitchen you will find a hob, microwave, electric kettle and kitchenware. Las Dunas Suites & Apartments are offering the possibility besides the luxury health center, which is adults only, to combine family holidays with individual programs like weight-loss, Detox, Anti-aging, Anti-stress. At Las Dunas Suites & Apartments pets are welcomed. Some of the apartments offer kitchens or kitchenette. I am working as Marketing and Communication Manager at Healthouse and Las Dunas Suites & Apartments. Las Dunas Suites & Apartments is a great “home base” from which you can enjoy countless trips to nearby tempting places. Enjoy a walk through the historic and lovely center of Marbella, a stroll through the beautiful villages in the hills of Mijas, Benalmádena, Coin or Benahavís. And visit Malaga, bustling and full of mystery, just 50 minutes by car from the Hotel. Or the chic and picturesque Ronda with its special charm and its historical bullring, the oldest in the world, less than an hour’s drive. 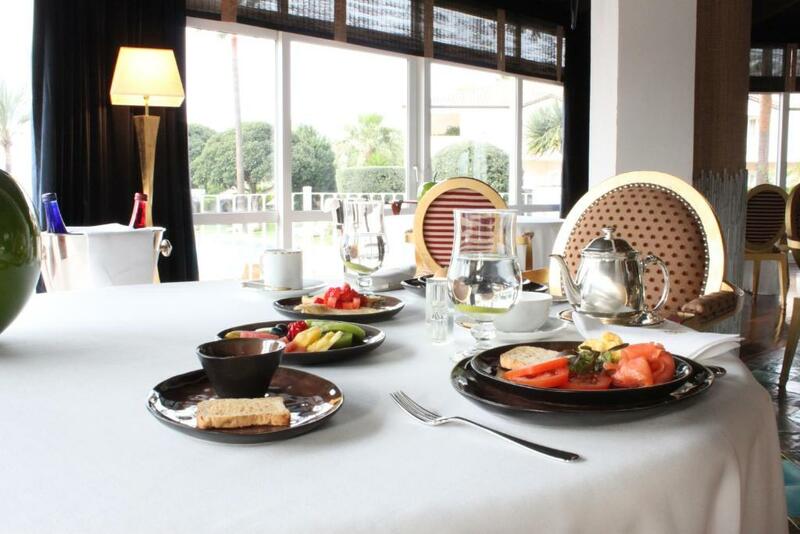 There are some restaurants nearby Las Dunas Suites & Apartments and the health hotel with a selection of seafood, spanish typical food and an Indian restaurant ( 5 walking-minutes from the property ). The next shops and boutiques are reachable within a 15 minutes drive by car in San Pedro de Alcantara or Estepona. House Rules Las Dunas Suites & Apartments takes special requests – add in the next step! Las Dunas Suites &amp; Apartments accepts these cards and reserves the right to temporarily hold an amount prior to arrival. Las Dunas Suites & Apartments accepts these cards and reserves the right to temporarily hold an amount prior to arrival. Please note the restaurant does not accept children under 18 years. Please inform Las Dunas Suites & Apartments of your expected arrival time in advance. You can use the Special Requests box when booking, or contact the property directly using the contact details in your confirmation. high level of traffic noise from busy road adjacent to the property. Located 50 meters from the highway, very noisy. Breakfast was a joke, we complained, got some improvement but was still poor. Children unfriendly hotel. We could not even pass the reception hall with children by going to the beach. Having feeling like they are dogs. We have been reminded by phone call to the room when we passed the reception with the children, despite of the fact that the hotel was completey empty and no guest were there. It was already off season. Outside pool not heated. Spa hard to find, could be sign posted better. The fact that there was no bar to get a drink after a long drive from Algeria. There is a mini bar and room service but not quite the same. maybe i should have read more on the hotel before booking. Room was a good size and facilities were otherwise also good. Breakfast could have been much cheaper. The private beach and pool area. It is a residential area so some more restaurants would be great. There was a lovely chiringuito on the beach but the food wasn't great. We had to go in the car each day to get breakfast. A car is necessary for this hotel.